The debate on the identity of Satoshi Nakamoto promises to be a never-ending one. After a former SpaceX intern blogged that Elon Musk is probably Satoshi, Musk clarified that he is in fact not the creator of Bitcoin. People have speculated about Satoshi’s origins ever since Bitcoin was invented. The trigger to get the rumour mills rolling this time was a blog post by Sahil Gupta, former intern at SpaceX, who blogged that Elon Musk was probably Satoshi Nakamoto. Sahil uses Elon Musk’s background in Economics, experience in production level software and history of innovation to speculate that Elon Musk ‘probably’ invented Bitcoin. Given the divisive nature of the blocksize debate in the Bitcoin community, Sahil sought Elon’s (or Satoshi’s) intervention and asks him to play the role of a founding father (similar to Vitalik Buterin in Ethereum). Elon Musk, has however, denied that he was Satoshi Nakamoto and going on to add that he had lost the Bitcoins which were sent to him a few years back. Previous hunts for Satoshi Nakamoto have not ended well. Craig Wright claimed in 2016 that he was Satoshi and managed to convince a few mainstream media organizations and Bitcoin developer Gavin Andresen, before his claim was debunked. In 2014, Newsweek’s cover story claimed that the magazine had uncovered the identity of Satoshi. They speculated that an engineer named Dorian Nakamoto was actually the creator of Bitcoin. A media frenzy followed, despite Dorian Nakamoto’s repeated denials that he wasn’t Satoshi. Eventually the Newsweek story was debunked, the magazine was left with egg on its face and Dorian Nakamoto’s life was turned completely upside down, bringing great financial hardship to the man. Various people from Hal Finney to Nick Szabo were thought to have been Satoshi at various points in time, but nobody knows for sure. Many still believe that Satoshi is actually a group of people rather than a single individual. 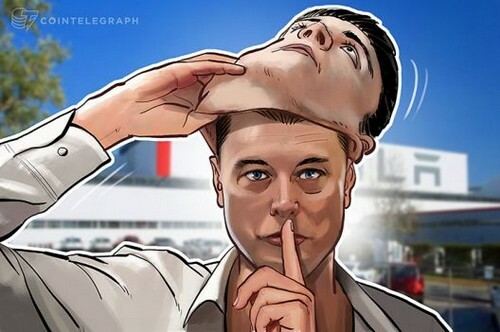 While Bitcoin has grown organically and drawn millions of users into its fold without the active involvement of Satoshi, questions will always remain about his identity. Nonetheless, the development of the Bitcoin protocol has proceeded apace without Satoshi, given the talented developers who work on Bitcoin and significant community support. However, if Satoshi is still alive and if he still holds his private keys, he is believed to own about one million Bitcoins. With Bitcoin having just breached the $10,000 level, that gives Satoshi a net worth, on paper, of $10 bln. Given that many believe Satoshi no longer has control over the coins, if he ever decided to sell his Bitcoins, the price of Bitcoins might plunge. Given that Satoshi has remained out of the limelight for so long, it does seem likely that he values his privacy more than the billions that his Bitcoins are worth. Then again, with Bitcoin’s epic bull run, nobody knows at what point the mysterious founder might change his mind.